Come down & try our weekly changing sandwich. The most popular ones get brought back, so make sure you let us know your favourites! Check out the little green and cream Citroen H van in Winchester on Fridays, amazing Focaccia sandwiches, very tasty! Terry's Chocolate Orange is always a favourite! Review us on Facebook, and you could be featured on our website. Remember to tag us in all your focaccia photos too! Review us on Facebook, and you could be featured on our website. Remember to tag us in all your focaccia photos, too! We love finding your photos, especially of Herbert. Our inspiration for The Focaccia Co came from a short trip to Florence, Italy. Having tried these amazing sandwiches, we questioned why no one was making these in the UK. Focaccia sandwiches are so popular in Italy, and a favourite choice for so many people. These little sandwich shops have queues outside their doors from lunch time through to early evening! Once you try one, you will understand! The trend has travelled across the sea to the US, and we believed it would only be a matter of time before it became the next best thing in the UK. 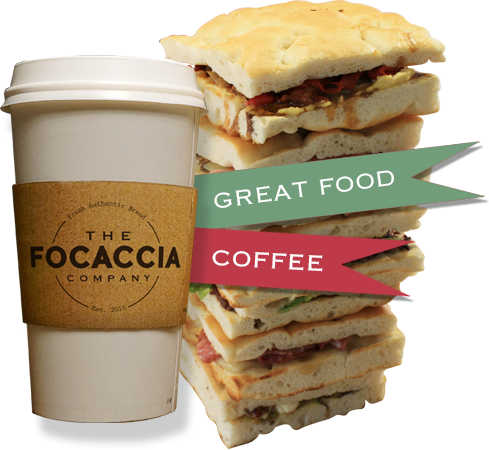 So, seizing this gap in the market, and using our catering and hospitality experience, The Focaccia Co was born! Quality is of utmost importance to us. Our produce is either sourced locally, or directly from Tuscany. We use fresh focaccia bread daily to bring these delicious sandwiches to events, markets and weddings across the south, all served up from our lovingly restored 1973 Citroen H Van, Herbert. We have worked hard to create a menu that offers something for everyone, gives people the opportunity to try something new, and offered enough choice, they would struggle to decide which they wanted to try the most! The inspiration for our menu comes from a mix of these little Italian sandwich shops, and the thriving London street food scene, so we are sure you will find something to enjoy! Herbert sits well in any location, from weddings, festivals, fetes, parties, and everything in between. You can guarantee him as a massive talking point! From canapes at a drinks reception, charcuterie antipasti boards to share, focaccia sandwiches to refuel at an evening do, homemade soups and stews for colder months, focaccia bread offers endless possibilities. Please feel free to contact us with your ideas, as all our packages are bespoke to your requirements. We have over 20 years’ experience in catering and hospitality, including working within Michelin starred establishments, and as a private chef. You can put your confidence in us, and rest assured, we can look after the catering, whilst you and your guests enjoy the food and your event.